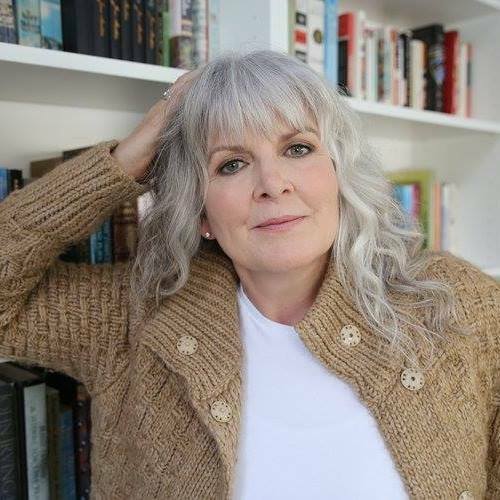 Kate Armstrong was an ordinary young woman eager to leave an abusive childhood behind her when she became the first female Cadet admitted to the Royal Military College of Canada in August of 1980. As she struggled for survival in the ultimate boys club, she called on her fierce and humourous spirit to push back against the whims of a domineering and patriarchal organization. Later in life, feeling unfulfilled in her post-military career, she realized that finding her true path forward meant she had to go back to the beginning and reclaim the truth of what she had experienced all those years ago. Kate Armstrong worked as a military officer and an electricity trader, before realizing it wasn’t her dream and becoming a writer. She lives in Nelson, B.C. The Stone Frigate: The Royal Military College’s First Female Cadet Speaks Out (Toronto, Dundurn Press, March 2019) is available for pre-sale on Amazon.ca. I assume copies will be available at the gift shop? Congratulations, Kate, it’s been – and will continue to be – a long journey! 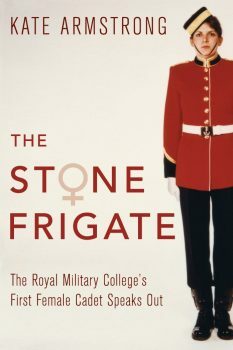 I just finished reading my copy of The Stone Frigate: The Royal Military Colleges First Female Cadet Speaks Out, by Kate Armstrong. Excellent book! Thank you to Kate and the other women who paved the way for those of us who followed. Proud grad of CMR, St-Jean-sur-Richelieu class of 1990. By the time I arrived at mil col there were women in the graduating class. My experience was overwhelmingly positive. I have friends who experiences were less pleasant. I completed my MBA at RMC in 2007, while a Major, on Maternity/Parental leave with my third child. We’ve come a long way! True leaders treat everyone with respect. I look forward to the time that RMC and the Canadian military are known to all as a truly inclusive workplace, where everyone has the opportunity to succeed based on their aptitude, effort and potential. We’re not quite there yet. I’ve been a veteran since 2012. I still say “we” when referring to the CAF and DND. I also recommend the military as a great career for anyone, regardless of gender, who is interested.